Hostmysite.com :: How do I set up an email filter for my domain? How do I set up an email filter for my domain? 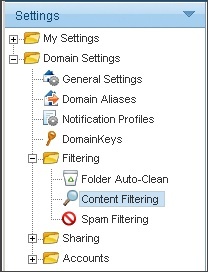 The following article explains how to set up email filters that extend to all mail accounts in your domain. These filters, known as Domain Content Filters in SmarterMail, are used to perform specific actions on emails that meet certain criteria. Filtering is most commonly used to remove emails that are considered Spam, but they can also be used to process legitimate emails. 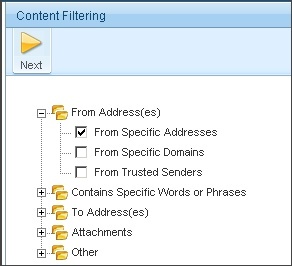 Domain Content Filters are applied to emails received by all mail accounts in your domain. Users of these mail accounts are not aware of these filters, nor do they have the ability to change or turn off the filters. Note: If you wish to create a content filter for a single email account, instructions can be found here. 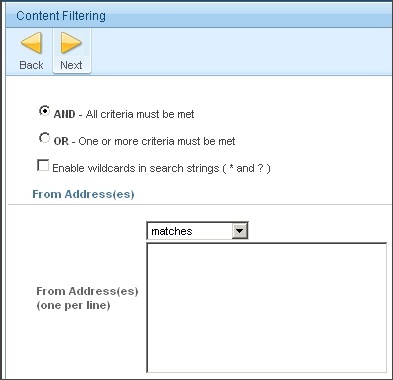 Expand Filtering and select Content Filtering. 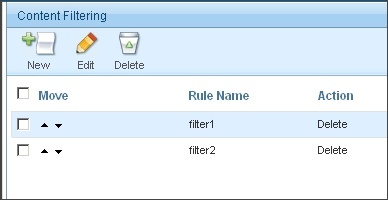 The filters are processed in the order shown. You can rearrange the order by clicking the "Up" or "Down" arrows next to a rule name. Once a message goes through a filter, it is processed and may not be affected by additional filters. 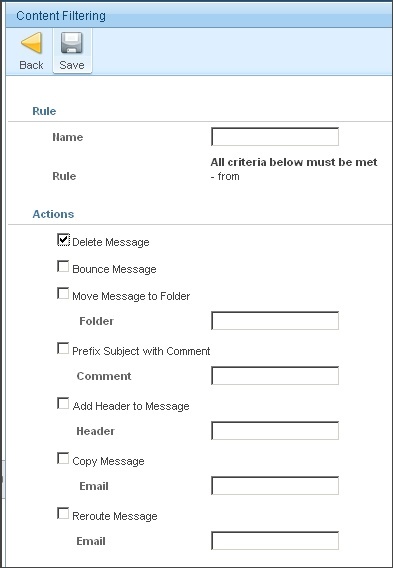 Note: For detailed information about each filter option, view the SmarterMail support documentation by clicking on the Help menu in the upper right corner of the SmarterMail interface.